Guru is the CEO of Boomerang Commerce (Shop.org Startup of the Year 2015 Runner-up), a dynamic price optimization platform for digital retail. 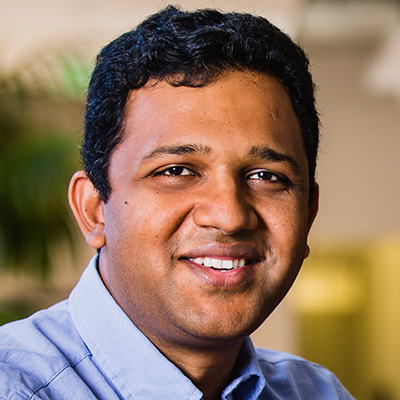 Formerly a retail merchandizing, supply chain, and cloud business leader at Amazon, Guru is passionate about bridging the analytical divide in e-commerce and democratizing retail analytics. At Amazon, Guru worked in the inception stages of the supply chain and retail merchandizing organizations. He also co-founded the WebStore by Amazon program, driving it from ideation to cash flow positive, and established Amazon's first self-service B2B marketing channel. As the General Manager of the Marketplace Experience at eBay, he led the global team that launched the eBay "Fast N’ Free" program that drives hundreds of millions of dollars in free cash flow. Guru earned a BE in Computer Engineering from the Delhi Institute of Technology, an MS in Computer Engineering (with a focus on Machine Learning) from the University of Texas at Austin, and his MBA from the Wharton School.